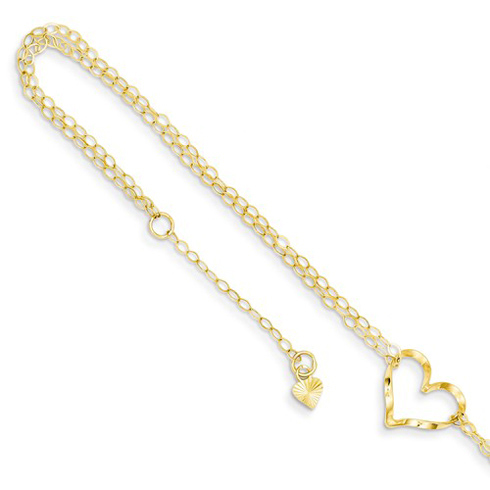 Polished 14k yellow gold double link anklet has a heart charm and spring ring clasp. Length: 9in. 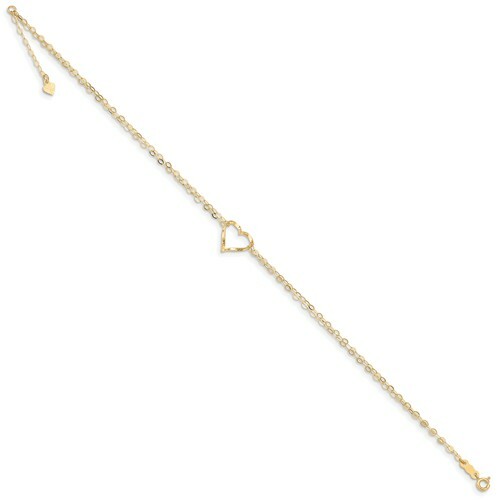 Anklet chain width: 11mm. Weight: .97 grams. Import.